The Xbox One version of Just Cause 3 will include Just Cause 2, also playable on Xbox One. The announcement came during today's Microsoft press conference at Gamescom 2015. 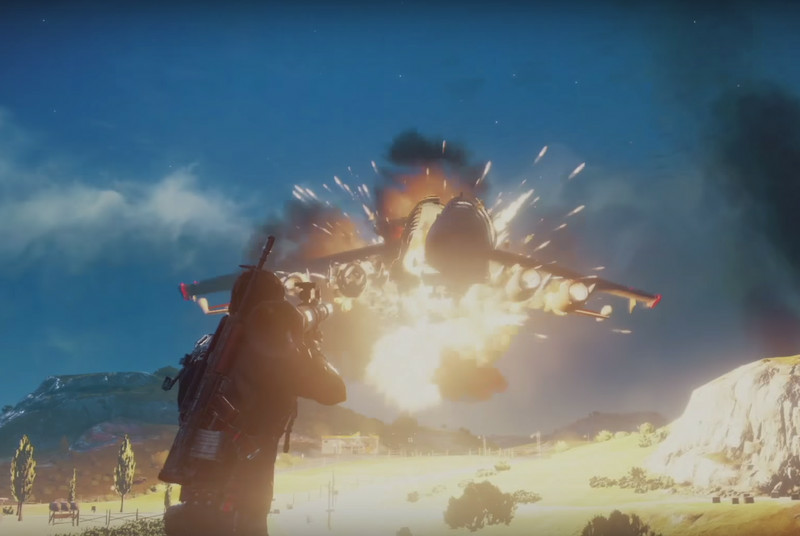 Along with the news, Avalanche Studios premiered a new trailer for Just Cause 3. The developer continues to outdo itself with each new trailer. The new gameplay footage features the hero in gunfights while hanging from a helicopter, riding a gas can, and zipping through a burning village. At the end of the clip, he fires a rocket into a cargo plane, causing it explode across the landscape. Just Cause 3 is coming to Xbox One, PlayStation 4, and PC on December 1st, 2015.